Your specialized, business intelligence consultancy. Our clients repeatedly bring us their most complex projects because we stay on top of Business Intelligence challenges and principles. Our business intelligence savvy combined with our focus on service make us ideal consultants when you need data mining or data warehousing solutions. 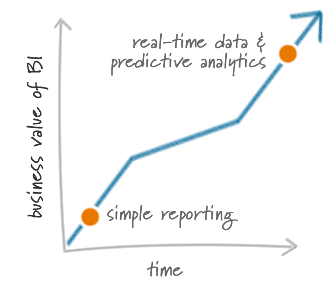 Questions about Business Intelligence? Just ask. We're eager to share. 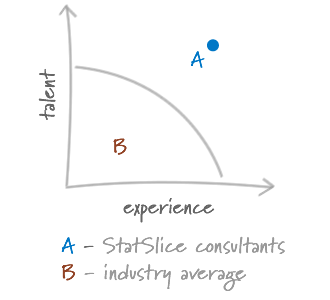 StatSlice combines proven experience with fresh perspectives. We have a successful track record with proven BI technology but are also on top of the latest tools and evolving methods. Our consultants are both life-long students of business intelligence and teachers at heart, actively sharing their knowledge and experience with clients and the BI community. When we talk about BI you won’t get lost in a jungle of jargon. BI isn't only academic. Let's apply it to your specific challenges. We listen to and partner with our clients. We learn from each project’s key stakeholders until we know your business better than any of your other providers. Combing that knowledge with our technical experience, we'll map out a plan that will solve your unique challenges. We deliver custom solutions. 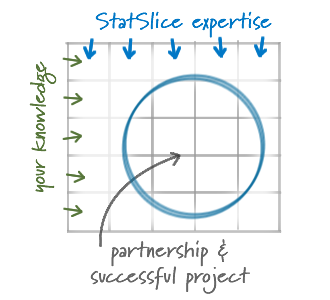 StatSlice delivers projects that create significant return on investment. We are top-of-mind when clients experience a tough data mining or data warehousing problem or need to uncover exciting potential opportunities. We are highly selective with whom we choose to work because we demand both elite talent and a “can-do” attitude in every candidate we hire. Our iterative and open approach relies on listening to how our clients view our work and the results we are providing.